Prices are for London and are +VAT. Events out of London require an extra fee to cover expenses. Client usually provides sound equipment and lighting for the performance area. Please give as much info about your venue/situation as possible. 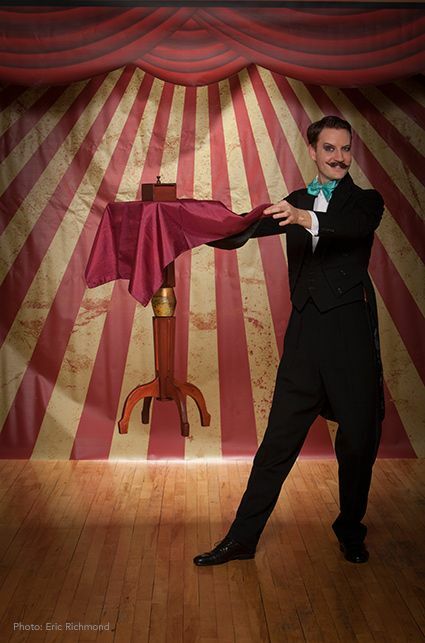 Norvil & Josephine is an award winning show that blends spectacular comedy magic with amazing acrobatics and singing. This mind-boggling double act has performed on London’s West End, throughout the UK, internationally and on live television. It's an energetic show of magical escapism at its best. The Stage called the show “A beautifully paced and spellbinding act." I have had so many positive comments from my colleagues. The show was action-packed, lively, energetic and fun! Everyone thought the act was fabulous! I love this fun-filled personality-driven act... (with its) fresh, unique and entertaining presentation. Yes, ask about our magic theatre tent! We've performed this show for 50 people on the small end up to thousands on the high end. Watch the video for a taste of our show. It's a highly popular show as it offers audiences a wide range of entertainment styles. 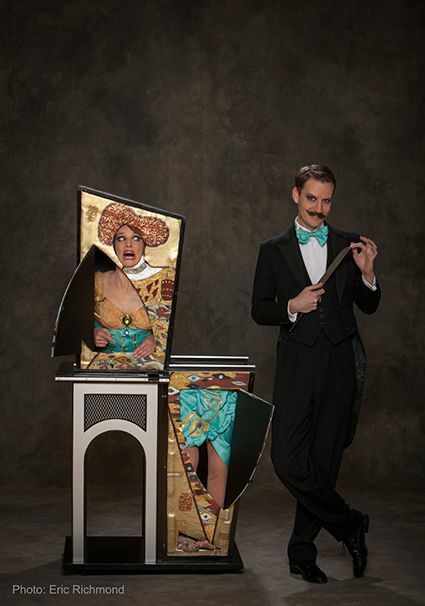 As one critic remarked, "it's more than a wonderful act, it's a wonderful SHOW!" Watch the video for a taste of our magic. We recommend a 25 minute act. But it can be 10-45 minutes. Please let us know your performance situation and then we'll let you know which show we propose as well as the special requirements for your event. Yes can provide our wonderful Magic Street Theatre Tent for outdoor events. We've worked everything from conference rooms to theatres. We also have a street theatre that we can bring with us to perform our street show. This works particularly well in shopping malls where staging will not be provided and for street festivals. Norvil & Josephine is for adults but we can make sure it's family-friendly for events where there are children present. We usually recommend a 25 minute act, especially if you have other things planned for your party. 10-45 minutes shows are available however. Tell more about your venue/available space and requirements and full information can be provided.